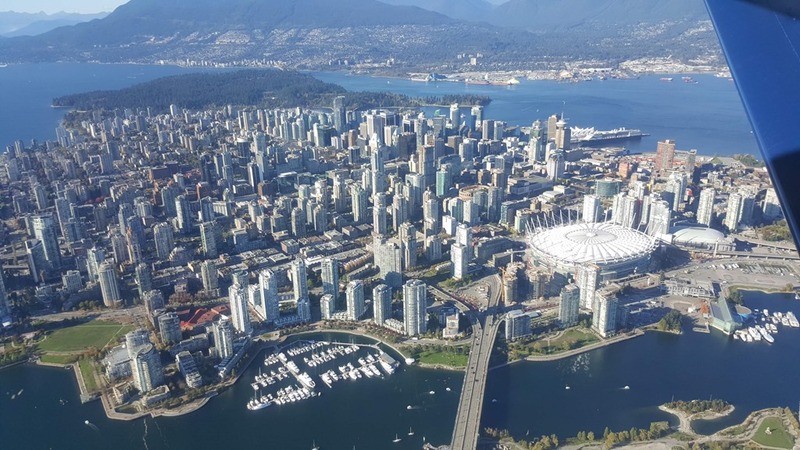 Just over 2 weeks ago I arrived in Vancouver, British Columbia, Canada to attend HUPO 2015 – my first conference with Nonlinear. I was accompanied by Dave from our UK office, Mark and Jonathan who are based in the US, and also Rob who works for Waters in their UK headquarters. We had some free time on the Sunday morning to get acquainted with the city, and what better way to do so than by going on a seaplane tour to take in all the sights from above? 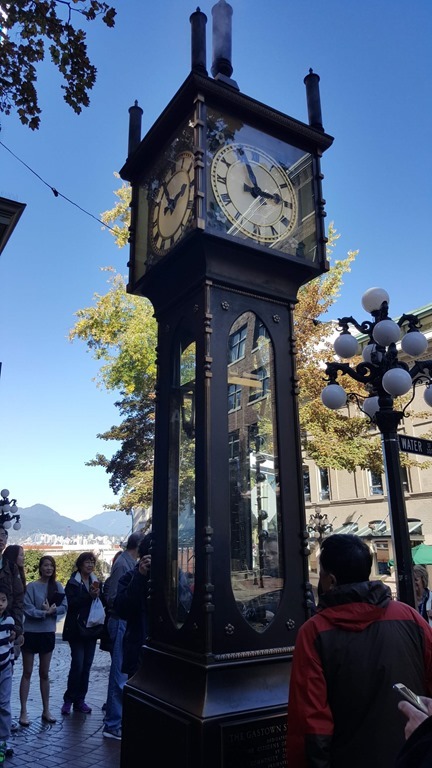 As well as taking to the skies (and the sea), we also explored the area by foot – the Gastown Steam Clock and the Digital Orca statue were definite highlights. The plenary talks were held on the Sunday evening, with the Eagle Talking Stick being passed from speaker to speaker as a nod to Vancouver’s Native American heritage. Aled Edwards gave a very engaging talk about the current state and possible future of the drug discovery field, including a tribute to the late Frances Oldham Kelsey, who was born on nearby Vancouver Island and was responsible for preventing the use of thalidomide in the US. Monday was our first full day on the booth. Walking from the hotel to the conference centre, in beautiful weather, coffee in hand with a stunning sunrise emanating golden rays across the wakening city sure made a positive change from my usual daily commute! There were some great talks throughout the week, especially those on standardisation and QC. The Proteome Standards Initiative and ProteomeXchange Consortium session on Tuesday morning was particularly excellent, showing that data exchange, searching and reprocessing are very much becoming a reality. Albert Sickmann also gave a great talk during Wednesday’s “Standardisation in proteomics” session, providing an excellent perspective on the need for QC – something we also focussed on with our release of v2 of Progenesis QI for proteomics. Aside from the talks, it was great for me to meet customers face to face, as well as some of my Waters colleagues who are based further afield. 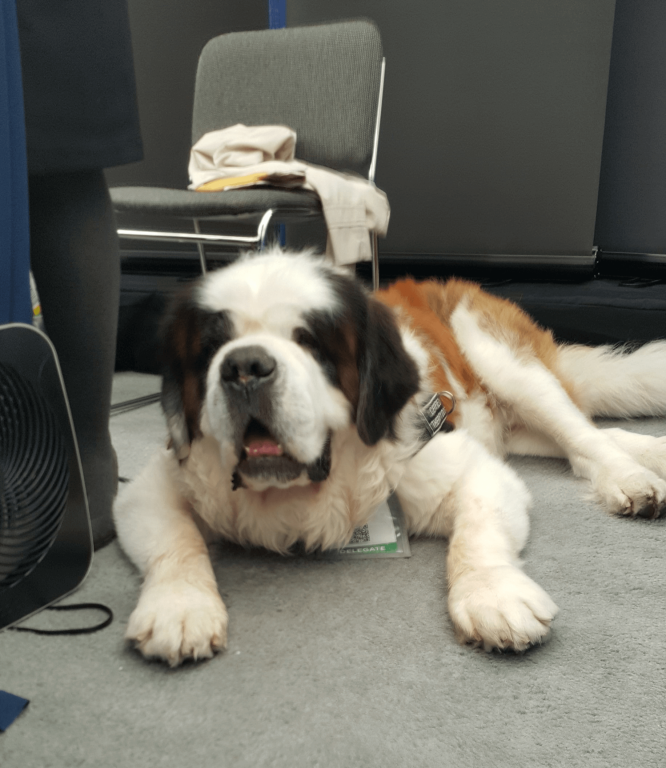 I also enjoyed meeting HUPO’s celebrity exhibitor, Toby the therapy dog. 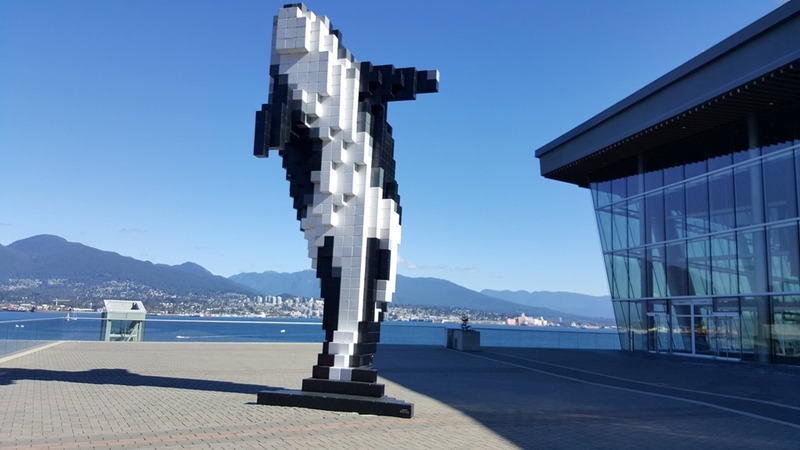 I’m pleased to say I thoroughly enjoyed HUPO and my first visit to Vancouver – it’s a city with a lot to offer (not just poutine which may be my new favourite thing!). Next year’s host, Taipei, has a lot to live up to! Don’t worry, check out our events page to see where we are next. We hope to see you soon! This entry was written by Angus Black, posted on October 12, 2015 at 8:00 am, filed under October 2015 and tagged Conferences. Bookmark the permalink. Follow any comments here with the RSS feed for this post. Post a comment or leave a trackback: Trackback URL.